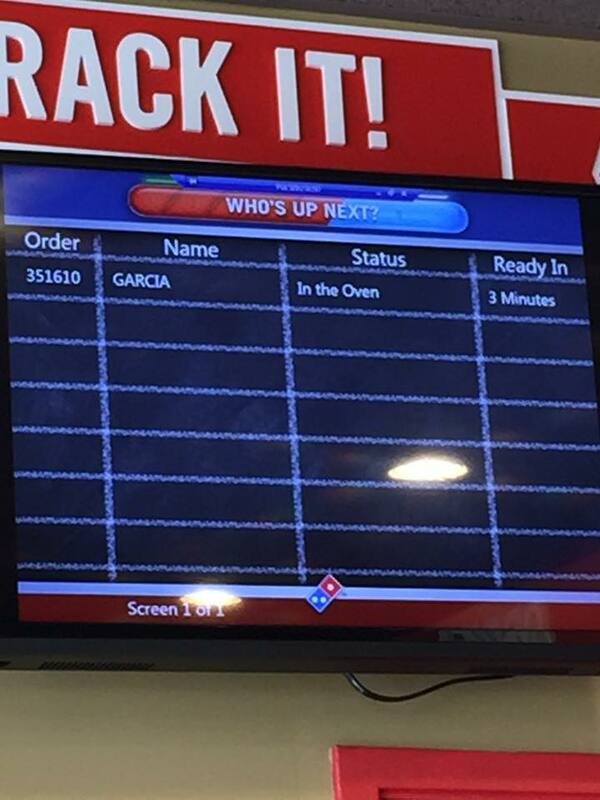 It was nice to see how fast dinner would be served! 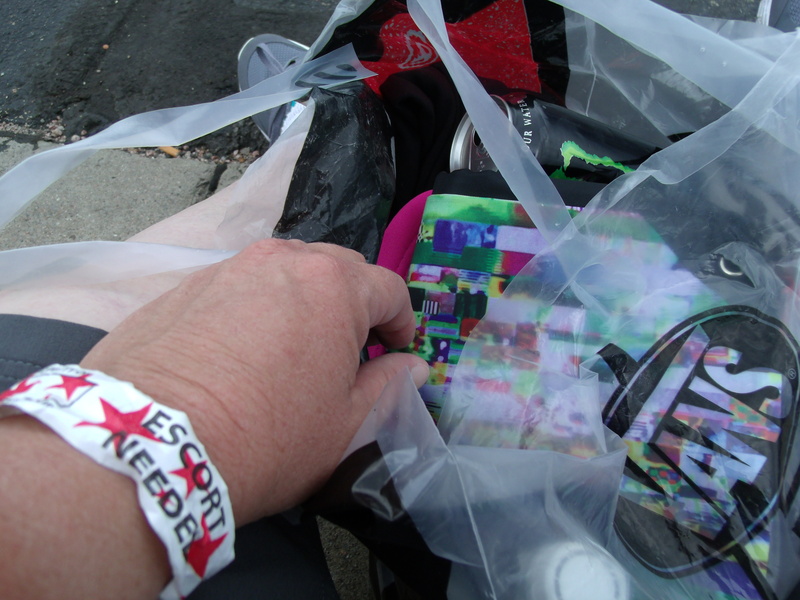 I was Bela’s accessory. I got to go in free since she’s a minor. 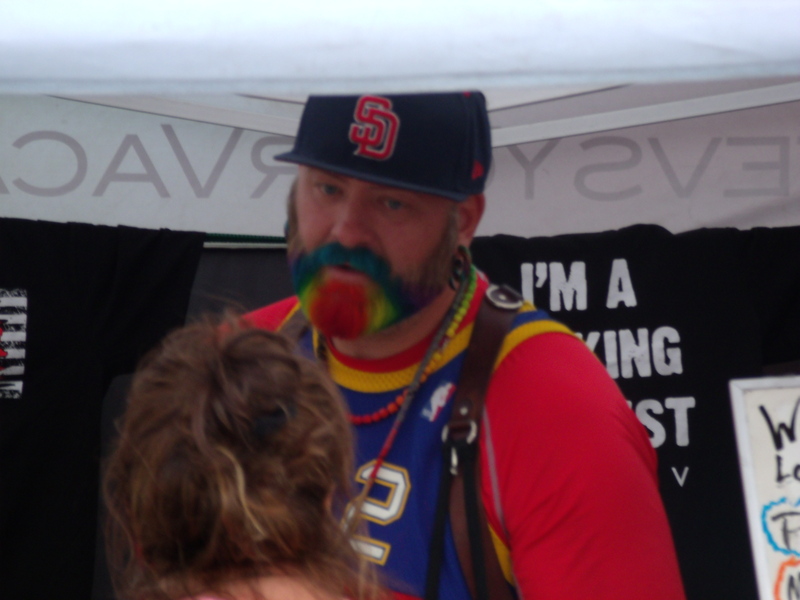 Rainbow Beard is a nice guy. 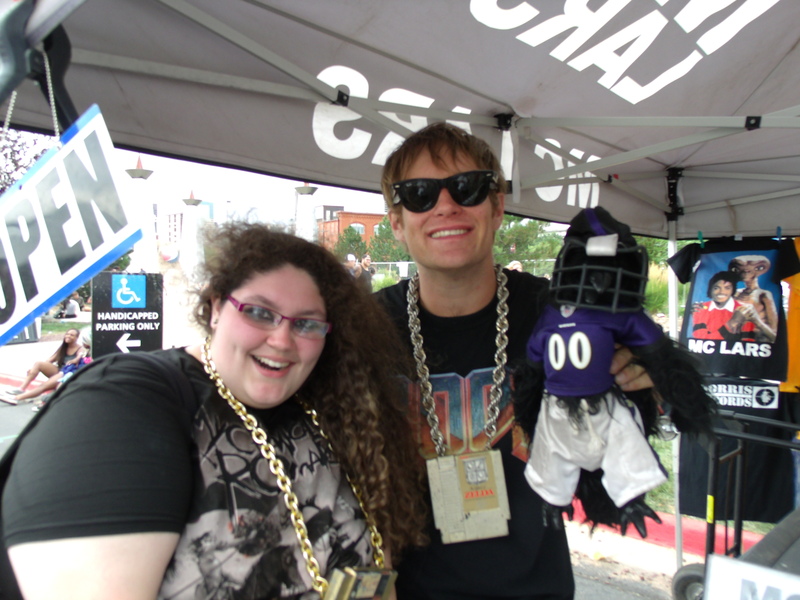 MC Lars and Mr. Raven posed with Bela. I got a FREE CD! Bela makes friends everywhere we go. 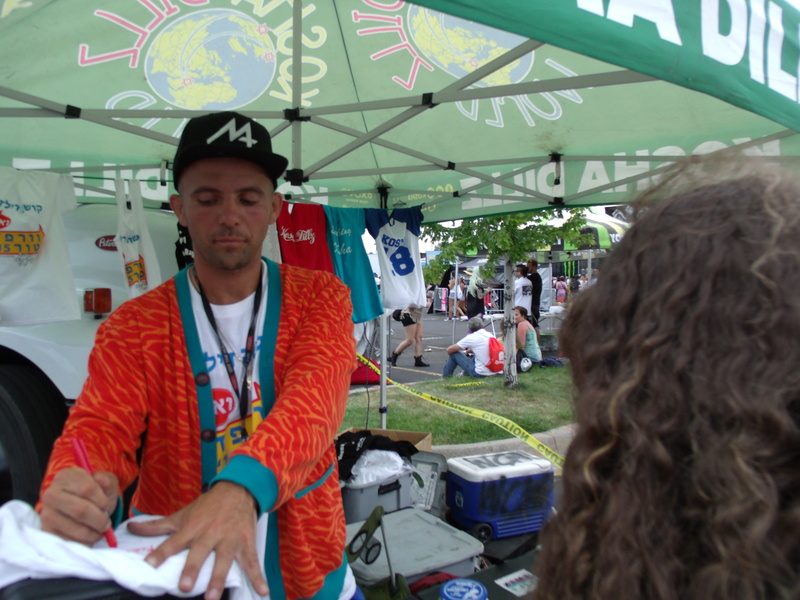 Kosha Dillz was busy signing stuff. 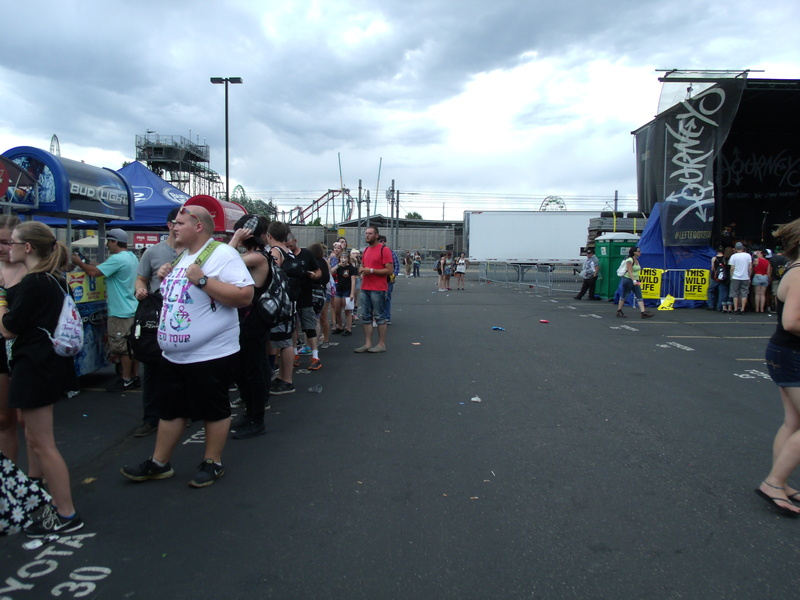 Bela was in line to meet Ben Bruce from Asking Alexandria. 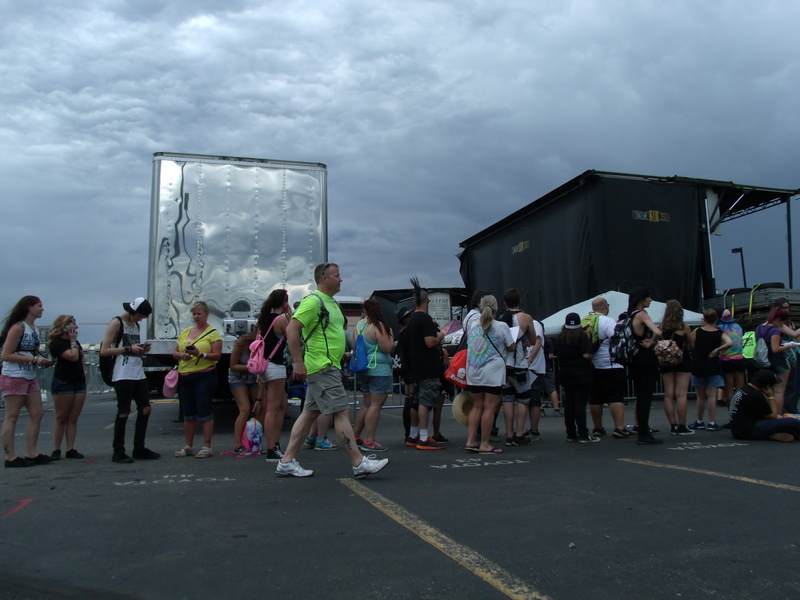 Scott is beside her in the red shirt. The line from another perspective…she finally met Ben.